Skyline is the leading designer and builder of trade show displays and graphics. Based in Eagan, Minnesota, Skyline has 130 dealers around the globe, and service centers in major venue cities: Las Vegas, Orlando, Chicago, Toronto and Shanghai. For over 30 years, Skyline has been working with companies ranging from start-up to the majority of Fortune 100. We have the experience, expertise and passion to help you trade and succeed. Skyline is the global leader in developing innovative trade show display systems. 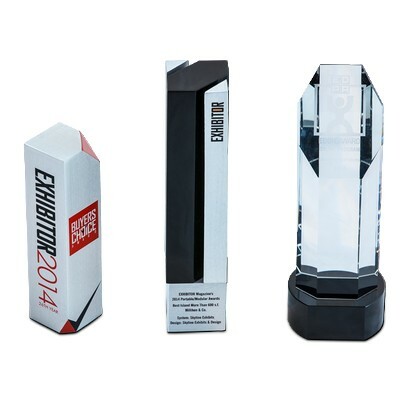 Skyline has earned over 100 patents and recently won the PDMA International Outstanding Corporate Innovator Award, the EXHIBITOR Magazine Buyers Choice Award for its new WindScape® Exhibit System, as well as the EDPA’s Eddie Award for marketing excellence in the exhibit industry. In addition to being a great exhibition stand manufacturer, Skyline stands out in the trade show industry because of its marketing expertise. Skyline offers exhibitors a comprehensive education program to ensure them a successful experience. Its training sessions, white papers, return on investment tracking software, and blog posts are available to all exhibitors who want to improve their trade show program. The Skyline team has about 1500 members in 130 offices worldwide. This global network allows exhibitors to maintain a consistent strategy and ensures them peace of mind. Skyline Montreal’s team consists of dynamic individuals committed to enhancing your trade show experience. We take pride in creating solutions that help you compete on both the local and international levels. Skyline believes that good business practices are synonymous with environmental stewardship. To minimize our impact on the environment, we continuously strive to improve our manufacturing operations.